The Manitou Land is a sanctuary on 235-acres of woodland in Newfane, Vermont. Transformational journeys are initiated here, as people awaken to a deeper understanding of themselves in relation to the Earth. 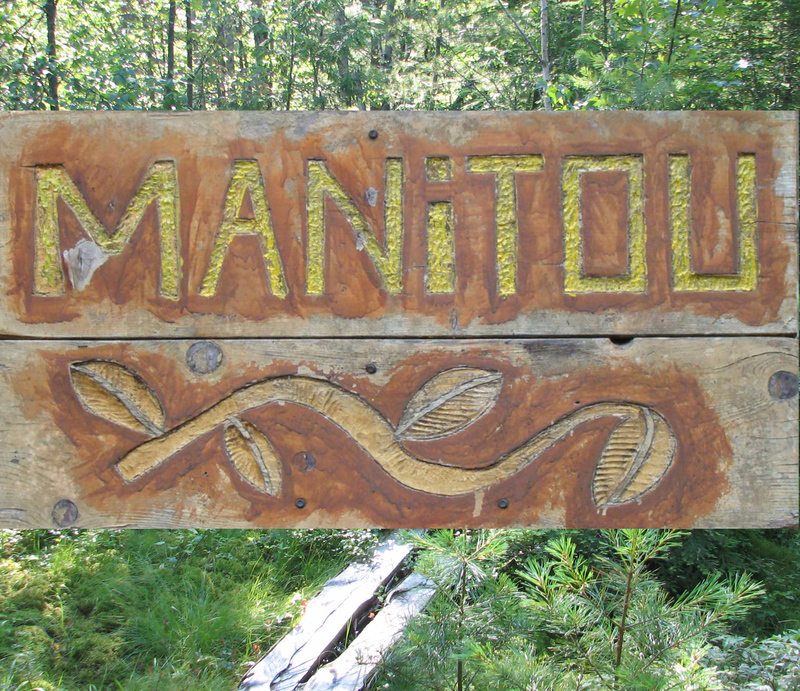 The Manitou Project celebrates the sacred interdependence of humans and nature. It is a model of land conservation and education integrating spiritual and practical applications of ecological awareness. We offer a healing sanctuary to affirm and celebrate this interdependence in our own lives and in the greater community. Indigenous peoples have built their lives and cultures around the Manitou way of perceiving the world. The Manitou Project listens to spiritual traditions to learn practices of keeping human activity in balance with nature. When one awakens to the call of Manitou, one sees the Earth as “a place of Dreaming … we are all natives here, and this is our only sacred spot” (from “Wild Sacred Woodland” by Gary Snyder). Our events invite participants to develop their own ways of interacting with the natural world. In the process of honoring a place, participants are encouraged to make their own healing journeys, and perhaps to experience the deeper “Reality” that has been described by mystics of all persuasions, aboriginal people, and even modern-day physicists. We have been discovering how to become the wheel Founder Pam Mayer described, with Manitou programs and energized members as the spokes projecting out to the world to anchor a rim that connects us all to one another in concert with the Land. Spokes include the experience of healing, music, writing and arts in Nature, kids camps, indigenous practice, and various forms of reflective exploration that both enrich life and inform community activism and environmental sustainability. We are each a spoke when we engage our passions in any of these areas and practice place-making: connecting our essence to the heart of the Land in a tangible way. We see everyone who sets foot on the Land as a potential place-maker, opening doors for others to do the same with joy and sense of fulfillment. In doing so, we clear paths on the Land and in ourselves, honoring the importance of leaving some parts wild and ‘unpathed’, fluid and ever-changing. Developing programs and access for people who use wheelchairs has become a high priority. The Land reaches out to offer something special to each of us, a sense of belonging, connection, and energetic flow which permeates the Land itself, and stirs in us a longing to offer back our unique gifts in return. This exchange of abundance and gratitude is the essence of Manitou healing—what happens when we do Manitou—attentive care of the Land and all that that involves, and when we be Manitou as students in a unique school in which the Land itself is the primary teacher. In so honoring this particular Land, we acknowledge the sacred nature of Land everywhere.